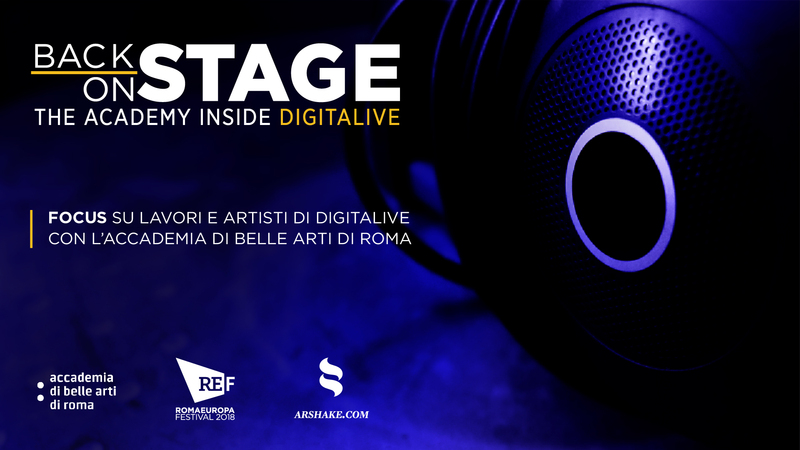 Arshake is about to host BACKSTAGE / ONSTAGE, a special project that took 24 students, selected from the Rome Fine Arts Academy to the backstage of DIGITALIVE – a new format dedicated to digital art, curated by Federica Patti and part of the Romaeuropa Festival. You will discover more as long as the project will unfold, starting from October 15,2018. In the meanwhile, you will find some treats shared on Arshake’s social by the students who have been following the artists stage by stage, and who curated every aspect of the project, from the logo to all the different forms of content. Maria Cristina Reggio talks about the project. 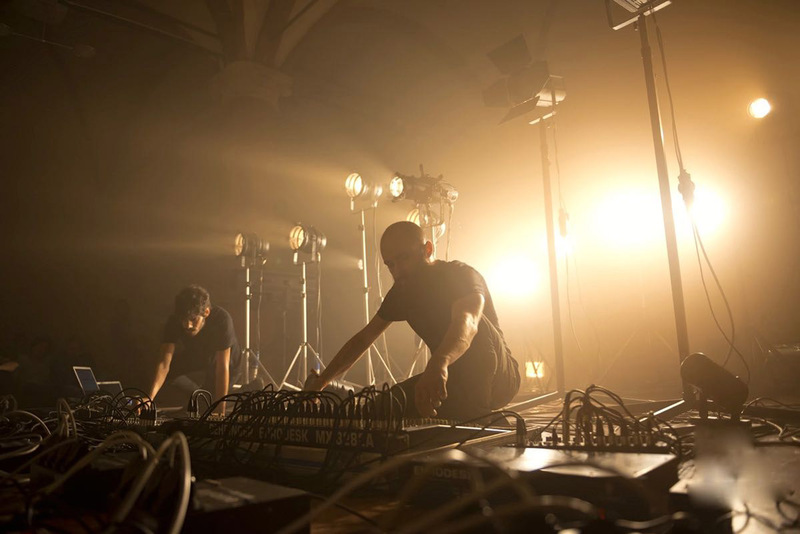 The opportunity to achieve this came in June with an invitation from the staff of the RomaEuropa Festival, one of the international cultural events in Rome’s theatrical and artistic scene. The 33rd edition of the festival, which includes the DIGITALIVE section curated by Federica Patti and dedicated to the use and live enjoyment of new technologies, has invited the Rome Fine Arts Academy to identify a group of trainee students to collaborate in the performance installations and in educational communication. At this point, it was only a question of offering the students a project, already very tempting, as operators. We thought, however, there was more to be done. For this reason we created a real editorial project for Arshake, a platform dedicated to art and technology curated by Elena Giulia Rossi. 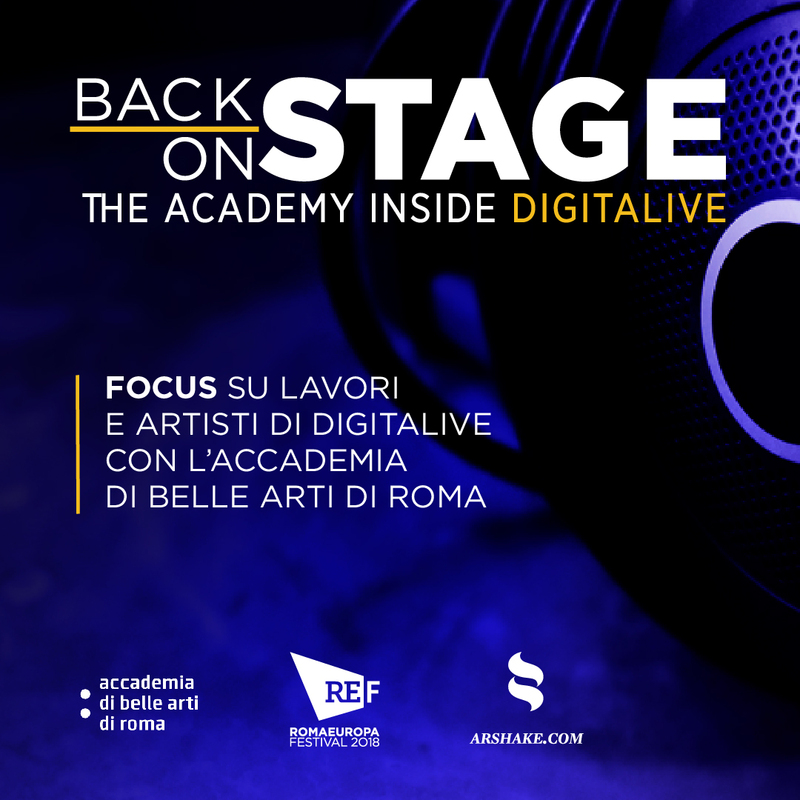 This project is dedicated to Romaeuropa: DIGITALIVE and signed by the Rome Fine Arts Academy. Not only students will follow the setting of the works, step by step, but they will also document each stage with a special editorial edition. This is undoubtedly a real challenge, but it is also an opportunity for the students to engage and test themselves with something new, enacting a different approach to the training programme. In the Academy there are different courses and specialisations dedicated to new technologies, so the teachers coordinating the various departments were the ones tasked with the selection of the most deserving students to take part in the different stages of research together with written, graphic, photographic and video documentation, while Arshake dedicated a page to the project with graphics specially created by students. The title BACK STAGE / ONSTAGE places the emphasis on the special focus given to the different life stages of the performative works by the artists participating in the Festival: back stage as well as the lived relationship with the audience. They will produce texts, images, fotos, and videos that will appear on Arshake’s social channels as well as on articles that will be published on a weekly basis, starting from October 15,2017. The key word for ‘why’ is relationship. We thought of giving students the opportunity to cooperate in a common project, overcoming the individualism that often characterises artistic work. During the installation stage, students can come into contact with the artists and observe their methods with the aim of later recounting what they witnessed, heard and understood. The same artists can come face to face with students who are not only a general audience but, above all, passionately interested in knowing the artist’s story, formative background and the secrets of their work. 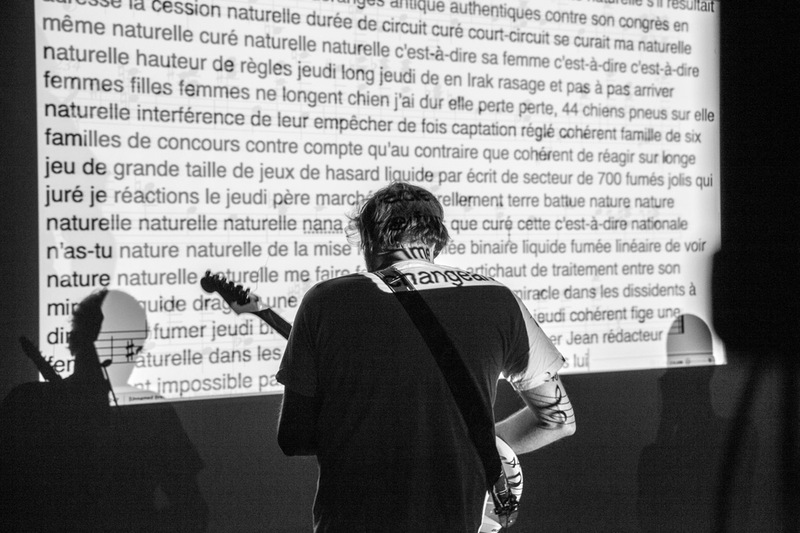 This operating mode enables access to the ateliers of artists who work with new technologies and who have first-hand knowledge of different strategies and procedures, but it also represents an educational opening up to communication. This project is an opportunity for students to put not only their individual abilities to observe and operate to the test but, above all, to organise themselves, coordinating a collective work that must be created as a team, exactly as is required by processes characteristic of multimedia arts. The project consists of coming together to invent, discuss, even compete, experiment with new paths of working in team, looking for common strategies. This is a pilot project where, for the first time, a group of selected students find themselves working together in the management of the same editorial project, both video and photographic, in collaboration with Arshake’s editorial staff. With Valeriana Berchicci’s invaluable advice, the students decided to structure their work guided from and inspired by Antoni Muntadas’s Methology of The Project that involves answering to questions, such as: Who?, What?, How?, Where?, When? Target Audience, the same questions that shaped this essay. Students have scheduled meetings, established an internal organisation in order to better cooperate and arranged an intense operational plan to meet the REF staff with whom they are collaborating during the initial period. The review show takes place from 4 to 7 October 2018 at the Mattatoio in Rome, but the students are already at work, assisting the artists on stage, as well as capturing documentation that will, then, be translated into a the special editorial section that will be later published from October 15 on a weekly basis, while traveling now on the social network with some picks from the backstage. BACK STAGE / ONSTAGE outlines the artists’ objectives, the different stages of their work, the work’s impact on a younger audience and those studying to become artists. The project, therefore, is aimed at an audience from Italian and international Fine Arts Academies, but also all those interested in seeing how a group of young future artists can become an editorial team. 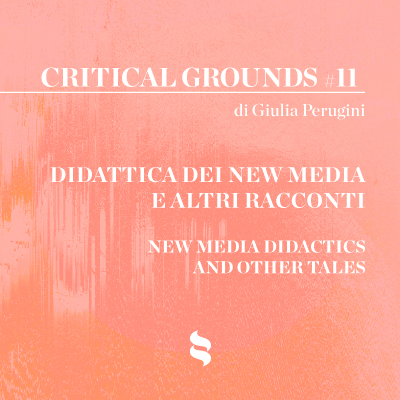 images: (cover 1-3) BACKSTAGE / ONSTAGE – banner, Chiara Arena, Giulia Blasi, Davide Musitano (Rome Fine Arts Academy) (2) Banner DIGITALIVE18 (3) Q8 The Enlightenment – Elisa D Errico (4) VOID – Noise is Full of words.